This week has been hectic. Business travel and lots of last minute projects (all due today) make for a tiring schedule. All of that points to the need for more coffee! Before I refill my cup, let me express my sincere thanks for your visit to Java and Junket! Knowing that you made a choice to click a link or subscribe to my blog feed thoroughly humbles and delights me leaving me with a big grin on my face. My gift to you? 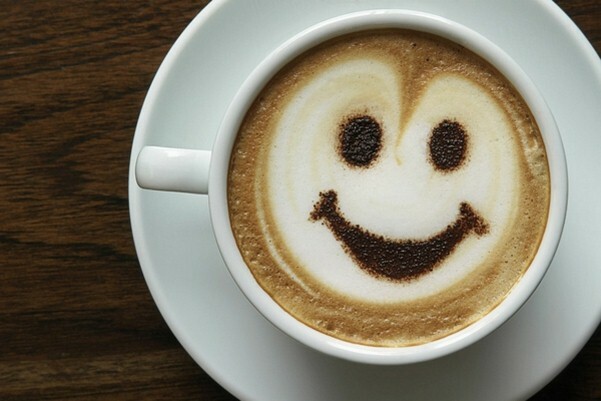 Some coffee smiles to get your weekend off to a great start! Aren’t they cute? Thanks for stopping by and have a great weekend!